Narrated by Oscar Nominee MICKEY ROURKE - Former Government physicist Bob Lazar made headlines world-wide in 1989 when he came forward with his account of reverse-engineering an alien spacecraft for the US Military. 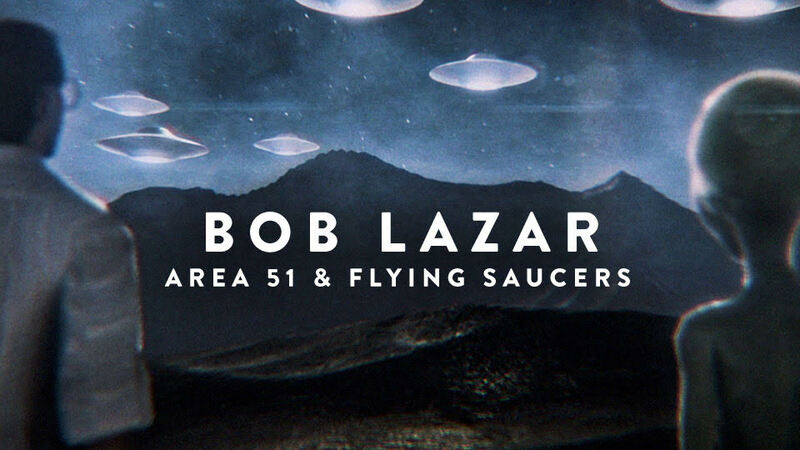 The reason the public even knows the name Area 51 is because Lazar talked about the work he did at the formerly secret military base. Burdened with a revolutionary secret, he had to choose between his oath to his country or his conscience. His wife believes him, his mom believes him, and the closer you get to his inner-circle, the more YOU believe him. His testimony remains the most controversial and important UFO story of all time; especially if it’s true. Lazar blew the whistle, shocked the world, then went silent. Corbell’s film intimately chronicles the triumphs and travails of a cosmic whistleblower. It investigates Lazar’s groundbreaking claims of our government’s secret program to create a fierce technology based on recovered alien vehicles. It reveals the devastating impact his actions have had on his life over the course of the last thirty years. His public disclosures have turned his life upside-down and he has tried to stay out of the spotlight. For this reason, has never let any journalist or filmmaker into the private world of his daily life - that is - until now. Providing rare and never before revealed footage, Corbell's film will shake the foundations of your beliefs and permanently alter the landscape of the debate. For nearly 30 years, Bob Lazar chose to “sit it out” and avoid ALL discussions and / or appearances with the public. In light of the threats and harassment he endured, not to mention the outrageous and ongoing ridicule, it is not surprising. The Lazar film gives you a “backstage pass” to understand the man behind the legend. You get to meet him, his wife and his mother. They all seem like very normal people. 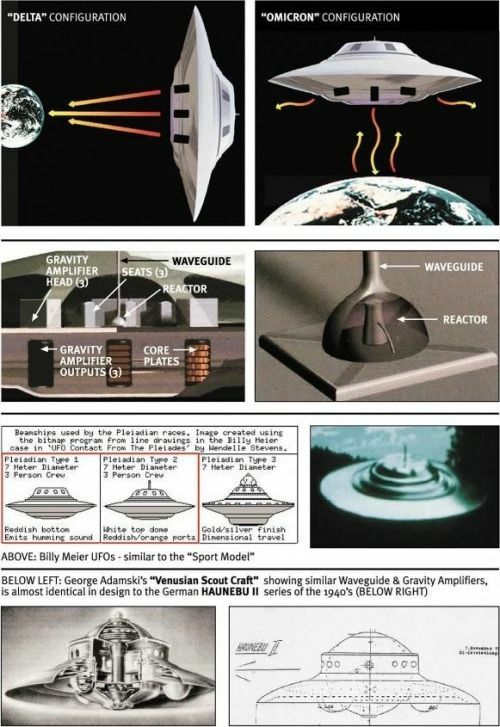 Lazar’s testimony included the idea that the craft he worked on had three “gravity laser” generators on the bottom. They could be triangulated and aimed at a particular area of space-time, and create a massive, directional gravitational pull to that spot. I found this absolutely mind-blowing, and far too specific and strange to be the product of a fertile imagination. It had that same quality of being oddly specific and plausible that I had heard from the professor’s NASA testimony. Larry King and his people reached out to Lazar after the success of this film and asked for an interview — and it just aired. Both Corbell and Lazar are terrific in this interview. There is no shaming or “laugh factor” from Larry. It is all taken very seriously. The scope and depth of information here, and the overall quality, is so good that I would consider this to be “required viewing” before seeing the movie itself. Lazar has EXACTLY the same type of qualities — humility, dazzling articulation, unhesitating honesty — that I have seen with every genuine insider. Furthermore, Lazar confirmed that the massive federal raid on his property, covered in the movie, was likely them looking for Element 115. Corbell was obviously taken aback when Lazar decided to come clean on Larry King and admit that this was what they had talked about in their “secret interview” the day before. The outrageous claims came from a shadowy figure who appeared on Las Vegas television, his face completely obscured, on an unassuming Friday in May of 1989. 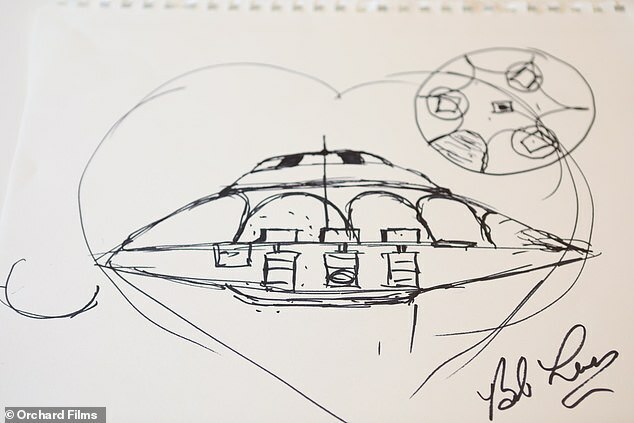 There were nine flying saucers out in the desert near Area 51, he said – ‘flying discs’ being tested and flown and analyzed secretly by the US government. He’d seen them, this mystery man claimed; not only that, he’d worked to reverse engineer the propulsion systems on aircraft that would have been ‘totally impossible’ for US officials to have created themselves. ‘The propulsion system is a gravity propulsion system,’ the man – going by the pseudonym of ‘Dennis’ – told journalists in the studio. ‘The power source is an antimatter reactor. This technology does not exist at all. And the government had gone to great lengths to keep him from talking, the ‘scientist’ claimed. He’d been warned that he’d be prosecuted for espionage; even his life – and that of his wife – had been threatened, he claimed. It wouldn’t be long before ‘Dennis’ was unmasked as Bob Lazar, an infamous name that continues to cause controversy and ripples in ufology communities around the world to this day. 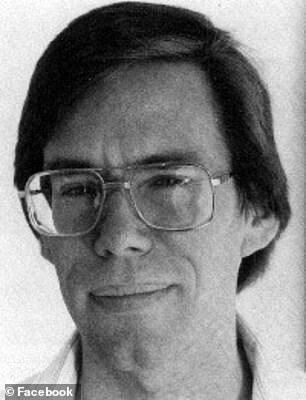 Type ‘Bob Lazar’ into Google, and almost every site, blog or thread mentioning him is niche, a playground for alien enthusiasts and conspiracy theorists. There’s not a lot about him in the mainstream media, particularly 30 years later. But in November 1989, when he appeared again on television, this time unobscured, Lazar’s coke bottle-glasses and deadpan, bookish appearance became recognizable globally. His claims about working near Area 51 at a hangar called S-4 – where he insisted he’d seen alien aircraft fitted with tiny seats and constructed with a then-undiscovered material called Element 115 – brought news crews from all over the country and the world, throngs of tourists hot on their heels.